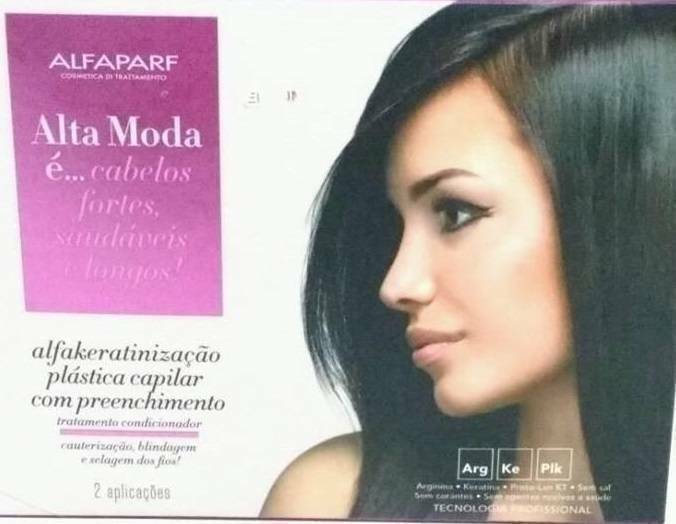 capillary powerful plastic-tested and approved to Alfakeratinização Alta Moda Alfaparf. 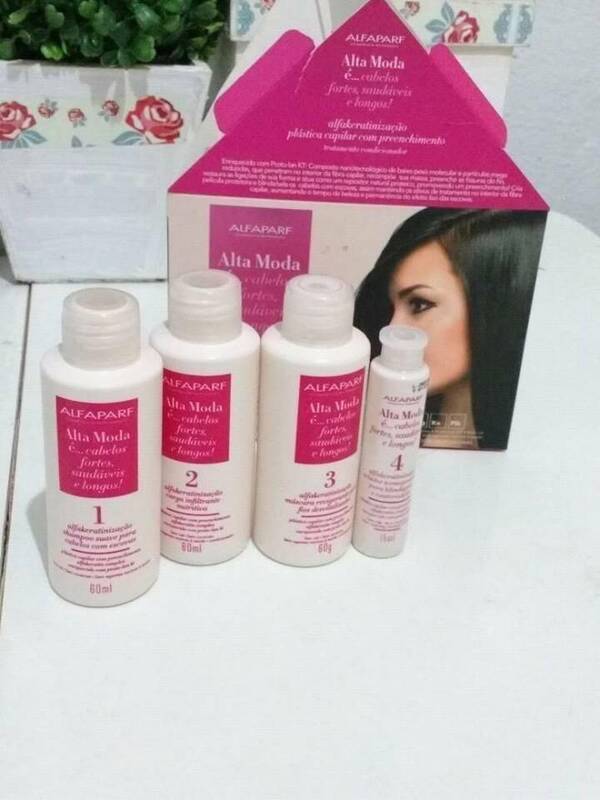 I tested these days this fabulous product for hair: a Alfakeratinização of Alta Moda Alfaparf and I was dazzled by this product.The product comes in a small box and contains 4 items to perform this treatment for highly damaged hair. It costs on average 25,00 real,and you can use up to 2 applications on an average hair in my opinião.Para very long hair just gives one-time use. saúde. Gentle shampoo for hair with brushes, removes all impurities present in the smooth hair and deep. The product acts as a shield,leaves the hair very soft and lindo.Testei in my hair that was badly damaged by dyes and loved!! results: one hair too bright ,soft and wonderful!! 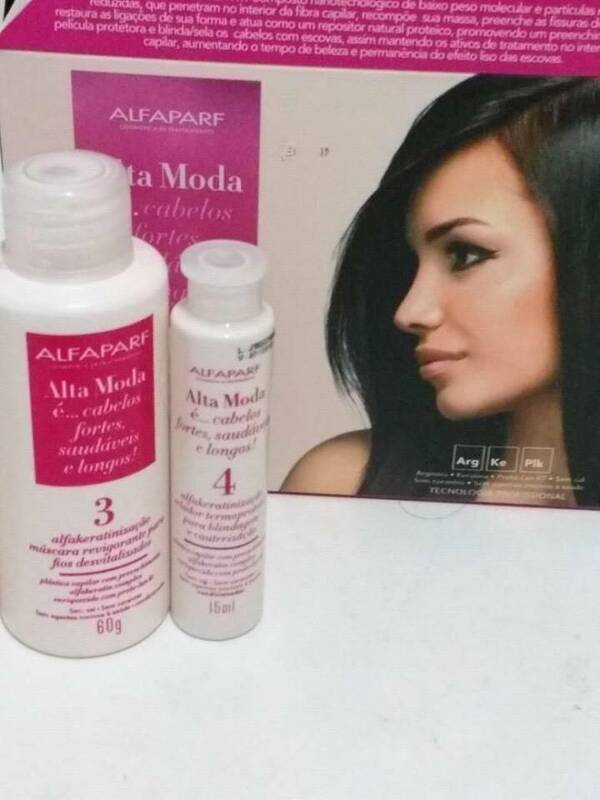 Restores hair mass too.The best I have ever used in my opinion!It can be used before or after chemical processes such as brushes progressivas.Dá a professional shielding effect .A great product!I want to buy it! The only negative thing,It was the difficulty to find this product because most stores do not sell this produto.Só found in a shop of my cidade.Ai is a tip for those who have a cosmetics shop,sell this wonderful product that people love! Previous PostPrevious The best products with argan oil for hair. Next PostNext Corselet the new trend in fashion. The challenge of finding the perfect base. review : Tested the Ruby Red color iMedia L'oreal.